In 1971, maybe running out of money, maybe growing bored by the excesses of their Laurel Canyon lifestyles (drugs and ill-considered romantic entanglements) and still owing an album to their label to complete their contract, the Mamas & the Papas reconvened for a comeback album. It’s been rubbished by most of the band members since, it was slammed in the press at the time, and it is seriously patchy – but for this song at least, the effort was a worthwhile. Bodies of work don’t come much whiter than the Mamas’, but People Like Us is surprisingly soulful and black-sounding. For this, credit has to go to John Phillips, who produced the album in place of their producer and mentor from the sixties, Lou Adler, and assembled an unlikely team including drummers Earl Palmer and Ed Green, bassist Tony Newton and an electric sitar player. 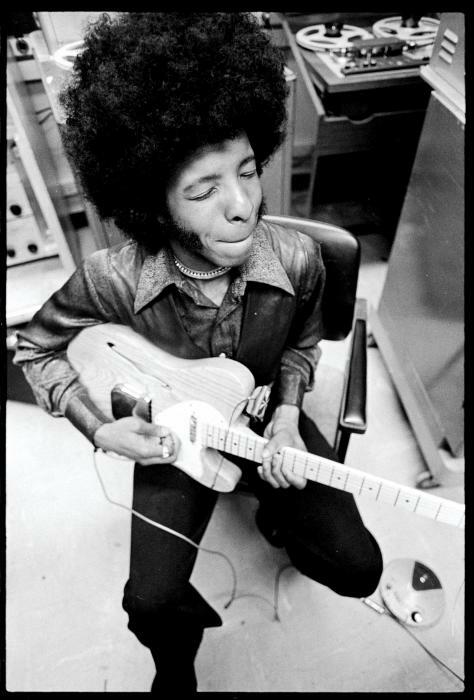 (It seems somehow to typify early-seventies soul, the electric sitar. I don’t know where it got used first in that context – Band of Gold, maybe, from 1970? – but I associate it most with the Chi-Lites’ Have You Seen Her, from June 1971, to which this might have been a very quick response.) But beyond the touches contributed by the rhythm section, the album’s whole cast of players is seriously impressive: as well as Palmer and Green, present on the record are Bobbye Hall, Louis Shelton, Clarence McDonald – stellar, enormously talented musicians who (with the exception of Jim Horn on saxophone, who has a real off-day and plays nothing but clichés on Pacific Coast Highway) are sympathetic and tasteful throughout. It might seem a strange thing to say but the thing that often worked least well for me about the Mamas was the enormous voice of Cass Elliot – it was great on its own, but it was simply too big to be contained by a four-piece singing group. Some voices are like that – they need to be heard on their own so they can become what they really are. Michelle Phillips once said that while she was no great singer herself, her big contribution to the band was to keep Cass from over-singing and drowning her out entirely. That was probably true. 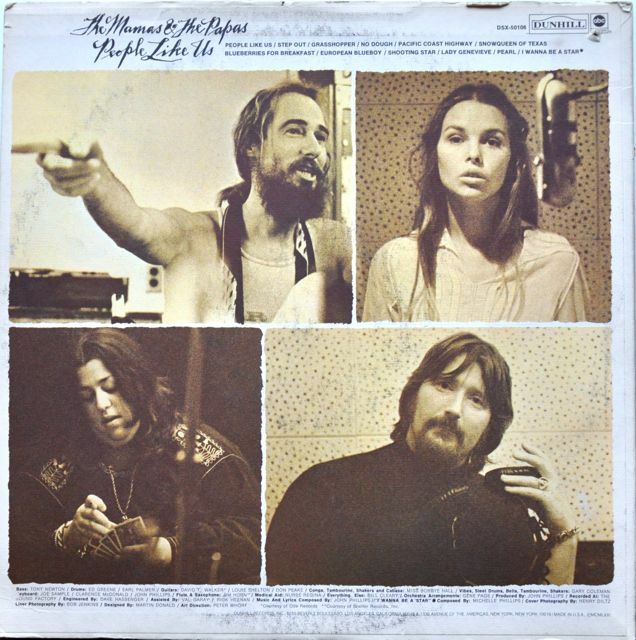 But Cass Elliot hardly appears on this whole album – possibly due to illness, possibly to drug problems, possibly due to illness due to drug problems – forcing Michelle Phillips to up her game. And her soft-voiced cooing sits very well with Denny Doherty’s lead tenor, giving the music a more sensual feeling than it had in their mid-sixties heyday. I’m no contrarian. California Dreaming is a masterpiece, and of course I recognise that the Mamas made several other great pop singles in the sixties. But People Like Us is my favourite Mamas song, however uncharacteristic it might be. This entry was posted in Music and tagged California, Cass Elliot, Denny Doherty, Dunhill, electric sitar, folk rock gets funky, folk rock gets soulful, John Phillips, Laurel Canyon, Lou Adler, Mama Cass, Michelle Phillips, People Like Us, People Like Us (album), The Mamas and the Papas on August 13, 2013 by rossjpalmer.